Crewton Ramone in the classroom! Here are a few videos and shots where second graders use manipulatives and do math that is supposedly beyond their years. These videos should give you a good idea how to incorporate the blocks into the classroom. Manipulatives make math fun and easy. They make math concepts visually obvious and you can get a lot more math done in a shorter amount of time once the students become familiar with the base ten blocks. Look how many addends get made when they build a tower. It's much better than writing them down over and over again--and more effective. Be careful with worksheets. But don't be fooled into thinking all these kids can do with manipulatives is add and subtract and do some place value...they can learn all kinds of math concepts. The basic operations (addition subtraction, multiplication, division) and much, much more. Use your search engine I have tons of vids and posts up about math from counting thru high school math. Here they are doing second grade math, just learning their addends. I can't stress enough how important it is to learn and master all 45 addends. We have broken into teams and they are racing to build pyramids of 10's and 13's...or you could use worksheets and get less done in more time. Note how we go from addends to factoring polynomials without skipping a beat. I expect you can see how it's all one lesson. Even when we are doing algebra, the algebra is just along for the ride what we are focused on at the second grade level is multiplication and addends and having fun. You can hear the fun. 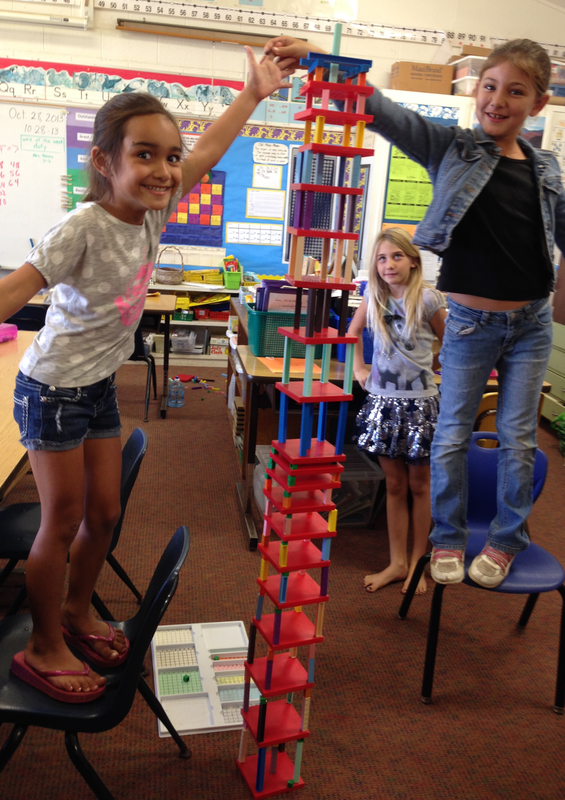 Building towers is a favorite fun second grade math activity. I use it as a reward. They practice addends and have fun doing it. 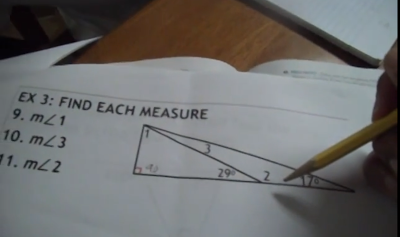 But they can do much more than just addends, they can do algebra, understand problem solving fool around with Pythagoras' math concepts regarding triangles and much more. As you can see addends in algebra go together all in one breath as it were, factoring cements the addends and gives them some multiplication and factoring of numbers and algebraic expressions. Second Graders Factoring x² + 9x +18 with EASE! 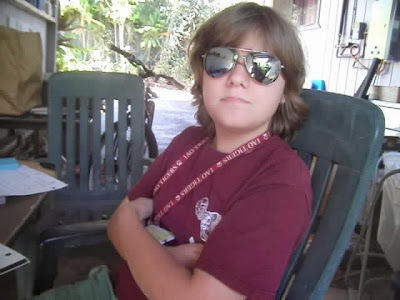 This video is unlisted and won't come up in searches. It is on the sample lessons page along with a whole lot more. Gives you a little taste of the stuff you can get with a password. The password protected pages have hours and hours of vids. Here is a sample addends lesson with very young students. Breaking them into teams makes the whole thing much more manageable, creates a little competition but also lets kids know as they are working on the problems and other teams jump up and yell "done!" that they aren't impossible and that if their peers can do it, they can do it. It also adds a little excitement. This little group of girls is working together trying to figure out what fits in the corner...not only do they get math skills but they learn team work and cooperation. I can't tell you how many times the kids who are supposedly the top of the class in math end up "losing" to other kids who are not as good at math as they are (my own son included) because they couldn't get their group to work as a team. And by "losing" I mean finishing after the other "winning" group, sometimes by mere seconds. Keep it fun and keep it moving. Just play. Play is very important...it makes learning easier and faster. And now you know why in the world of Mortensen math this is no big deal, astonishing to some but not me or other who have spent the time to learn to use this effective method for teaching. Don't forget to find me on FB. This was a fun student. He was having trouble with math because as usual they didn't teach him concepts or teach to his learning style. Again, we see if they can get their hands on it it makes more sense. He had a lot of misconceptions but the nice thing with this particular child is once he got it he got it and he didn't need a lot of repetition. Ratios turn out to be easy. The cross multiplication they were teaching him didn't make sense even if he could get the answer....but once he grasped the relationships between the numbers things fell into place quite rapidly. Instead of memorizing and algorithm which he would quickly forget he began to get to get a better understanding of what was going on as we played around for an hour. I have made several videos and blog posts about ratios. I think you will find these videos amusing as well as informative. I used a lot of manipulatives to get the concepts across but didn't get it all on vid because he often got distracted if I busted out the camera. But if you watch closely you should begin to get some ideas on how to use the blocks to present ratios. 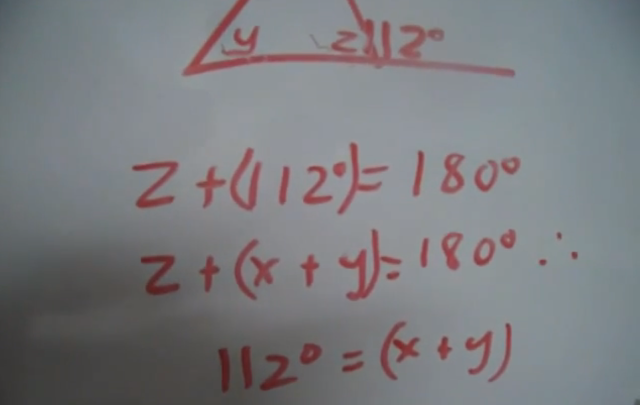 You may also watch videos teaching ratios with Sarah, another autistic student to whom I spent time teaching ratios. Writing is not his strong suit. I spent a long time working with him on how to hold a pencil. Often his teacher's aid would write for him but she also ended up doing a lot of the work for him so he wasn't learning as much as maybe they thought he was which was reflected by his test scores. When I met him many of them were less than 50%. 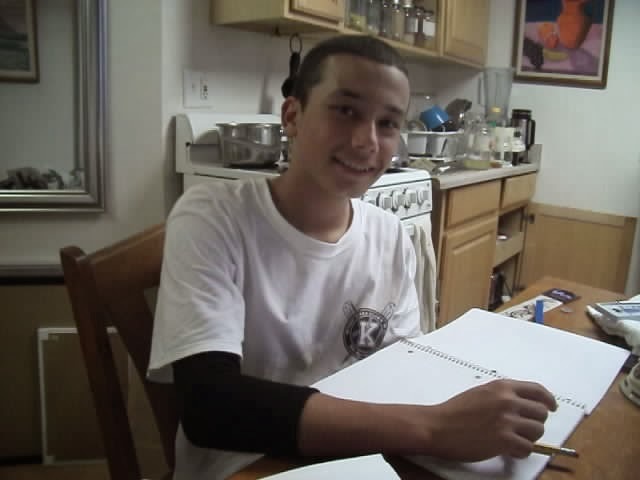 Soon he was getting perfect scores. These videos should also show how important it is to know multiplication, not just be able to work a calculator. Also once the concepts are understood, you don't need to use the blocks for every single problem. What we are basically doing is studying relationships between these numbers. Early last year I followed a link to your web page from The Libertarian Homeschooler's FB page. Saw lots of cool stuff, put it in the mental queue to investigate further for my 4 year old twins. Bought a password last fall watched more, read more, started to try a little bit with the kids. Loved, ABSOLUTELY LOVED, the methodology. INCLUDING that concepts can AND SHOULD be introduced and explored in a non-linear fashion. We will definitely be password customers again in the future. I look forward to seeing where you go with your site.And I also just wanted to tell you how great I think it is that you post info to give parents more info about vaccinations. I wish I had more info, way earlier in our lives, and I hope that your posts will help someone out there make better decisions. I just came across your site this past weekend and I am so thrilled to have found it! I just spent two minutes with my math hating 17 year old son, showing him how to factor a polynomial with blocks. After a bit of denial that it couldn't possibly be that easy, he actually seemed a little excited to try Mortensen methods to help him with his work. "Loving your videos and we have been playing with the few blocks we have while waiting for our package. 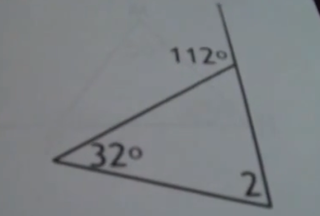 A Little Geometry, Triangles, and counting to 180. Some simple concepts regarding triangles and 180...This student up until quite recently found triangles to be confusing and stupid. But with a little directed discovery and explanation things very rapidly started making sense. Geometry is often easy for visual learners because they can see it...this is not a primarily a visual learner, this is a kinesthetic learner. He is good at sports and the reason he showed up in the first place was because if he got an F they wouldn't let him play. "If you can count to nine tell me if something is same or different or not and identify a rectangle I can teach you math if you want to learn it...and you need to be able to speak a language preferably English." Is basically how our lessons started and at first he was incredulous. After an hour triangles were EASY. Now we just have to work on the negative associations he has built up over the last two years...he got a D in algebra and hated it. I showed him problem solving and factoring and he was hooked. Next we will mix in a little algebra...this vid also brings home the fact that knowing your addends by heart makes a BIG difference. Concepts build on concepts and skill sets build on skill sets...soon instead of "2" they will put something like 4x - 20 there. And the student will have to figure out that 4x - 20 = 80. Which is a snap if they understand problem solving concepts but just adds to the confusion if they just got a "D" in algebra and hate it and none of makes sense. Hero Zero and No Fun Get Back To One to the rescue. You can't see the x but it is the other angle in the triangle. This student is a little camera shy and as with all students, tends to behave a little bit differently when the camera is on which adds a little pressure. This is another student that was in danger of not being able to play sports because of his math grade and apparently he's pretty good at baseball...and does "ok" in his other classes except, of course, math. Now we are ready for a "complicated" problem like this on to the left. Looks like it might be tricky but again if you can count to 180 it's not very hard. Turns out it's just two problems stuck together. Suddenly it's pretty easy except for the part that he sees a problem like this and automatically runs a program in his head that this is hard...but then it turns out to be easy and the program is modified. Soon he will be able to understand even poor explanations because he will be running a program called "this is easy I can do this." 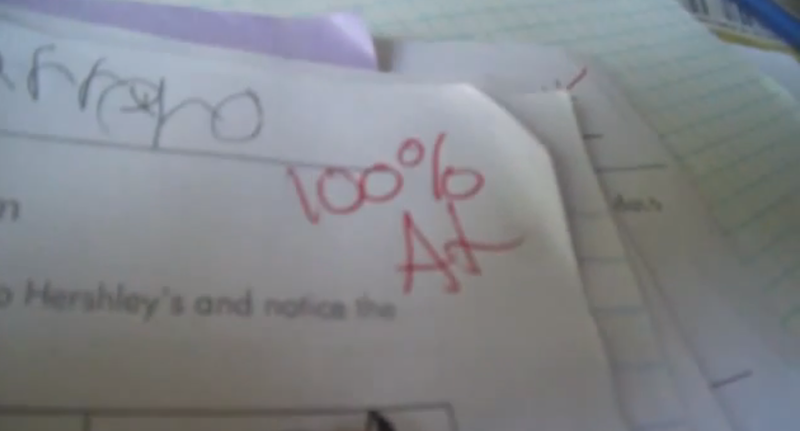 The geometry wasn't making any sense to him nor were the explanations he was getting from his teacher, so he quit paying attention and this turns into a loop that ends with an "F." BTW he tells me probably 90% of his peers are bombing tests and getting poor grades. I'm pretty sure the teacher is just as frustrated if not more than the students. Oh and BTW Happy New Year.